Screen capture of Li Pai-chang (李柏璋) Facebook page. 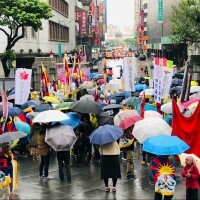 TAIPEI (Taiwan News) -- A day after clashes ensued between pro-independence protesters and pro-unification groups at the "Sing! 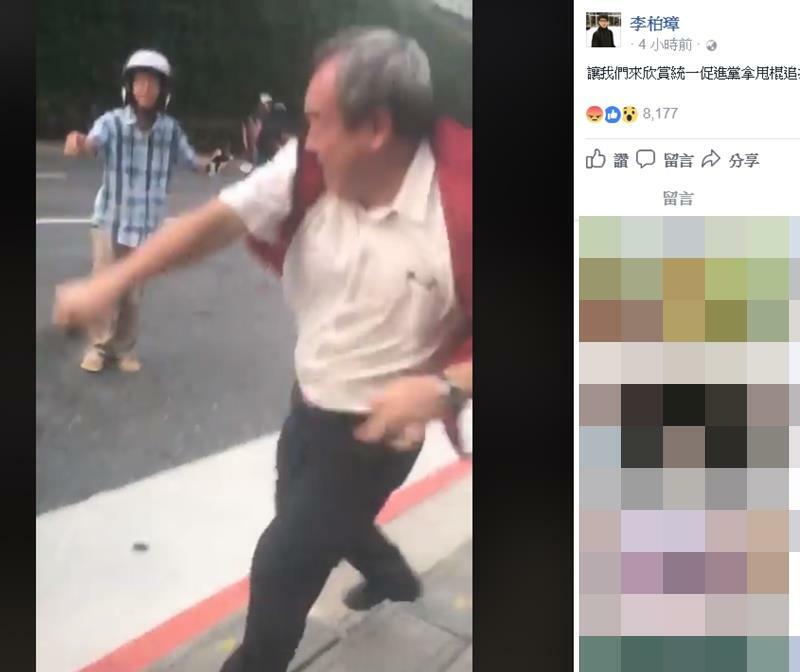 China: Shanghai-Taipei Music Festival" at National Taiwan University, video footage has surfaced on Facebook of a suspect who has been detained by police and has been associated with a pro-China group beating students with a metal batton. During yesterday's concert, organized by the Taipei Department of Cultural Affairs and the Chinese reality TV show "Sing! 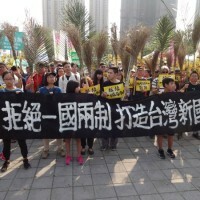 China," a group of NTU students held a protest to complain that the concert's stage had damaged the field and infringed on their right to access the athletic facilities. 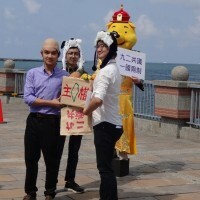 Protesters first staged demonstrations outside the venue before purchasing tickets. Once inside, they unfurled banners, shouted slogans, blew air horns to drown out the singers, and eventually stormed the stage. Some who supported the festival shouted back, heightening tensions to the point that the emcee announced the cancellation of the concert only three hours in. Meanwhile, just outside the stadium, pro-unification supporters clashed with the NTU student protesters, including a man who was captured in a couple of videos striking the students with a metal batton. The man was later identified Hu Ta-kang (胡大剛), 61, and is suspected of being a member of the pro-unification Patriot Association (愛國同心會). After the scuffle, police took Hu into the Da-an Police station for questioning, according to CNA. 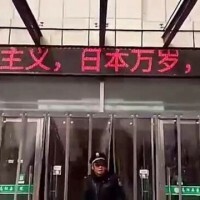 In the first video, ironically posted by a pro-unification group with a mere 20 followers, Hu can be seen attacking a couple students near the entrance to the stadium. In the second video, a continuation of the attack on the same student being assaulted towards the end of the video above can be seen. The video begins with the student appearing to try unsuccessfully to wrestle the weapon away from Hu, before being struck by him again. The student can then be seen bleeding around his neck. 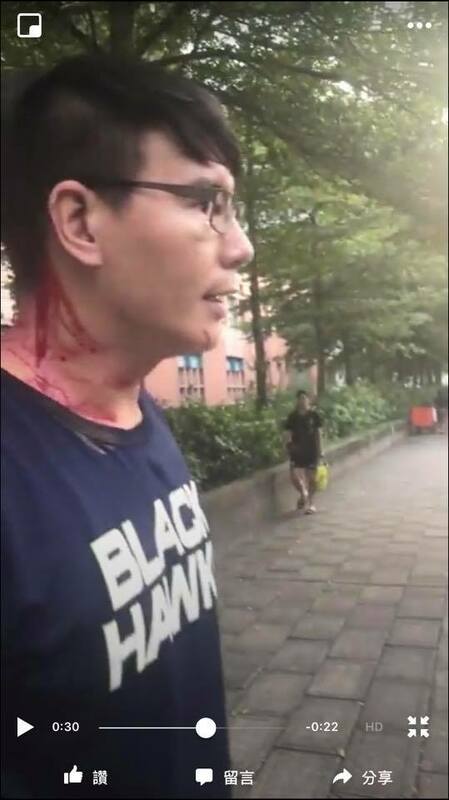 Screen shot of second video show man bleeding after being attacked by Hu.